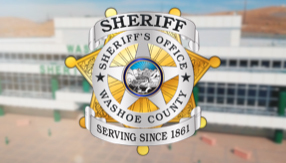 Criminalists with the Washoe County Sheriff’s Office Forensic Science Division want to make the public aware that they are beginning to see new and different forms of uncontrolled manufactured chemical substances which are pushed as an alternative to illegal drugs. The Division recently received a sample of 25I-NBOMe. This substance is packaged and used like LSD and can produce a similar and equally dangerous effect if consumed. The Forensic Science Division also recently tested a sample of 2C-P, another new manufactured synthetic drug that is available over the internet and produces a wide range of effects. A third substance received by the Forensic Science Division is 5-MeO-DALT. This synthetic psychedelic tryptamine is marketed much like bath salts or synthetic marijuana and can cause visual distortion along with feelings of paranoia and panic if ingested. At high dosages, it can cause retrograde amnesia. Machen said that the recent samples received by the Sheriff’s crime lab present a snapshot of an emerging manufactured substance problem faced by every community in northern Nevada. “The best way to protectourselves and the ones we love is to stay informed about the latest trends in substance abuse, especially when it comes to substances that are not illegal,” Machen said.